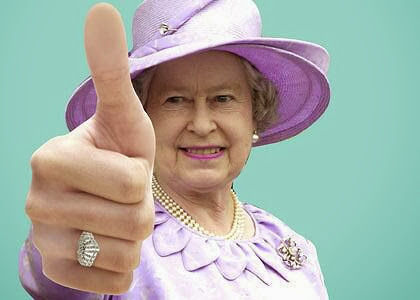 wdnicolson.com - An NRL Blog: #NRL Will wide-open Queen's Birthday Monday finally get a designated day game in the 2014 Draw? #NRL Will wide-open Queen's Birthday Monday finally get a designated day game in the 2014 Draw? WILL THE NRL ADDRESS THE BIGGEST OVERSIGHT IN RUGBY LEAGUE SCHEDULING FOR 2014? The success of the ANZAC Day clash between the Roosters and Dragons has something special at its heart, but has the NRL and at least two clubs missed a trick by not jumping on the Queen's Birthday Monday Public Holiday? The NRL is expected to announce its 2014 NRL Draw later this week (think Thursday or Friday kids) and for this pundit there is just one thing I really want to see on the schedule... say sometime in June. Sure there's a Monday Night Football fixture on the QBM (Queen's Birthday Monday falls on June 9th in 2014) every year but why the heck isn't there a day game for all those fans to be able to actually get along to and enjoy those rare days off on a workday? Though we are not suggesting that you will see a QBM game capture the feeling of the ANZAC Day clash - a prime day game is simply being wasted and has been wasted for far too long. The clubs that are smart enough to embrace this open date can make it honour whatever they deem fit, the game itself can lend itself to doing the same, but the point is - it is the chance for the NRL to add another genuine marquee day to the fairly tame club schedule during the Origin period of the year. The NRL are quite rightly trying to maximise the game day experience for members and fans and it is hard to imagine that CEO David Smith has not skimmed the soon to be released draw and identified his marquee matchups to pump up for his initial address when the 2014 Draw is released. At least... that's the hope. So which teams would play in the QBM Game? Well there's a case that you rotate teams in and out of the game, but as has been already noted above - surely there are two NRL CEOs who realise that there's a huge opportunity just sitting there for their clubs to jump in and make this fixture a huge success at the gate and as a spectacle for maybe even Channel Nine (shift the 2nd Friday Game to Monday arvo for example) - while not jumping in on Fox Sports' MNF turf. If two clubs are smart enough to make this happen after everyone else missed the boat - then good luck to them, it's yours. You might think 'two games on Monday is overkill' but simply put - play the MNF game in another part of Australia/New Zealand so there's no risk at all of drawing fans away from either game by having them 'back to back' in Sydney or Brisbane/Gold Coast. Get two clubs to jump in on the QBM game and make it an annual event... throw in the start of winter factor and it is hard to believe people wouldn't prefer to go to a game that starts at 2pm vs the 7pm night start on the QBM. What are your thoughts on this people? So have the clubs taken the bull by the horns and jumped all over the vacant ANNUAL Monday day game for 2014? We'll find out later this week. James Maloney won the #NRLTweetPlayerofFinals Award and the Grand Final Man of the Match after his Roosters defeated Manly 26-18 in The Decider. 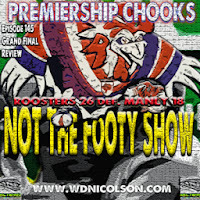 You can hear the full voting results and Grand Final cap with Waz and Maria on Episode 145 of NOT The Footy Show - the Grand Final Review Podcast. You can subscribe to the NOT The Footy Show Podcast on iTunes - not sure if or when we'll be back on air again, but live in hope okay?